The Russian Federal Air Transport Agency, Rosaviatsiya, has decided to suspend the air operator certificate of Mordovia Airlines from February 12, 2013 over safety issues. In a statement, Rosaviatsiya reported that this decision was made because of a deterioration in safety and the failure of the airline’s management to take effective measures to address safety shortcomings. In 2012 an Antonov 2 of Mordovia Airlines was involved in an accident associated with serious violations in piloting technique. 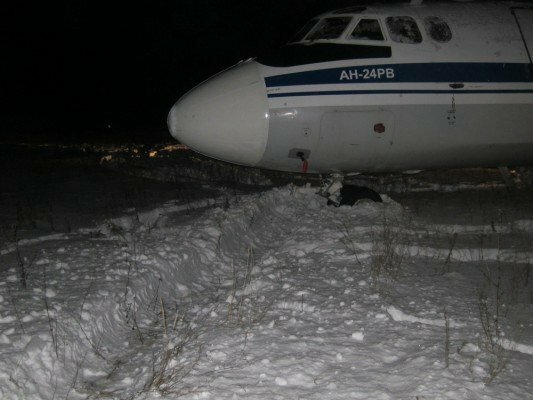 On January 8, 2013 an Antonov 24 skidded off the runway at Saransk Airport. In the course of Federal Air Transport Agency inspections of the airline significant shortcomings were noted in the organization of flight and operational activities. Airline management was given sufficient time period to correct the violations. Issues identified in February 2013 during an unscheduled inspection included violations of established norms of working time and rest time of flight crews. This situation resulted in the suspensions of the airline’s AOC.